Recently, we were proud to share that we had been identified by Clutch as a top email marketing company. Now, we are humbled to inform you that The X-Concept has added another recognition to our belt. 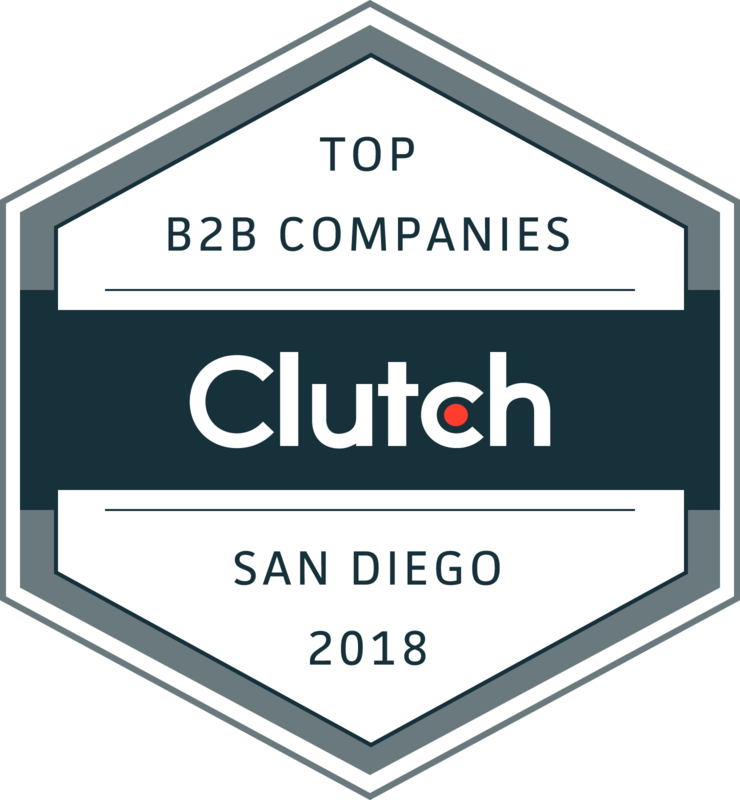 We have been included in the official Clutch San Diego Press Release as a leader of Digital Strategy and Inbound Marketing. It’s safe to say we are experts in all matters marketing. As a rating and reviews platform Clutch couples key independently conducted market research and reviews to evaluate companies featured. They have spent the last few months conducting research on cities across America, and out of the hundreds of companies in San Diego, we are thrilled to be a leader. This recognition highlights all the hard work we have put in as well and the care and dedication we give to each project and client. We are proud of not only our continued presence on their platform, this award, but also of our continued five-start profile rating. From development to marketing we are committed to bringing every single project to completion with constant communication and measurable results; a promise our Clutch profile validates. For further proof, The X Concept also appears as a Top Web Designer in San Diego on Clutch’s sister website The Manifest. We look forward to receiving more clients and in turn more reviews and are thrilled to have gained more recognition as industry leaders in the San Diego area. For more information on Clutch and their research and press release process, our reviews and our profile, go to Clutch.co. You can also look at the reviews we received on Facebook. We don’t only provide digital strategy and inbound marketing. We develop WordPress solutions, E-Commerce Solutions, as well as Email Marketing, Social Media Marketing and other facets of digital marketing.